Measuring 108 meters (354 feet), the concept project shown at right, referred to as the Devonport One-Ten, may be only a rendering so far, but the UK-based yard says that if it signs a contract soon, it could build and hand over the yacht as early as 2011. One-Ten is a concept project that Devonport created with Redman Whiteley Dixon. Ten guest suites are forward on the main deck, with a saloon aft leading out to a pool and seating/sunning area. Nearly the entire deck above is the owner&apos;s, featuring an office, gym, sauna, private dining room, and a personal assistant&apos;s cabin. While a Middle Eastern client was the target buyer when Redman Whiteley Dixon&apos;s team put pen to paper, both Devonport and the designers say that the One-Ten can be adapted to any nationality. For example, the hammam (Turkish bath) on the lower deck can be a sauna. For more information on Devonport, including contact information, click here. Hull #603, an unnamed 126-footer, is anticipated for completion this month. 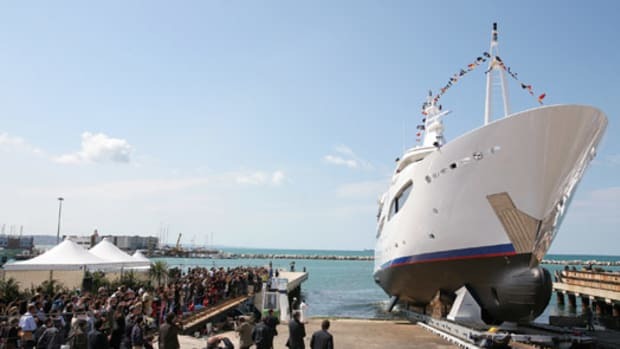 She&apos;s part of Broward&apos;s Global Series, featuring walkaround decks, a side-opening tender garage, and MTU M93 powerplants. All of the yard&apos;s launches are built in aluminum. For more information on Broward Marine, including contact information, click here. The builder, located in Cherbourg, France, has two Andrew Winch Designs projects in the works. The first, slated for a fall delivery, is Slipstream, measuring 60 meters (nearly 197 feet). The other is Project 802, with the same LOA as Slipstream. She&apos;s expected to be ready next spring. For more information on CMN Yachts, including contact information, click here. Slojo, a 156-footer that will be embarking on an around-the-world trip, should be handed over to her owners within the next few weeks. Another delivery this year is the 124-foot Marama. Both are fiberglass yachts. For more information on Delta Marine, including contact information, click here. Having delivered Darsea, the latest in its successful 97-foot displacement series, Moonen is working on two more in that series as well as one in its 99 Alu series (lightweight aluminum yacht) and its largest to date, a 124-footer. 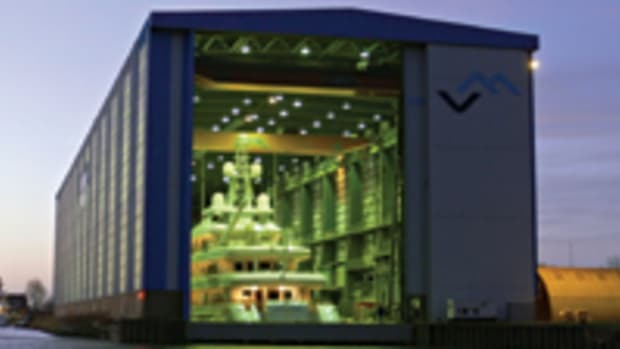 For more information on Moonen Shipyards, including contact information, click here. Three 112-footers are anticipated to be delivered from this summer through the end of the year. The same holds true for Westport&apos;s 130 series. For more information on Westport, including contact information, click here. This article originally appeared in the August 2008 issue of Power & Motoryacht magazine.